8 Reasons Why You Should Stop Off at The Phi Phi Islands on Your Thailand Trip. Maya Bay is famous for its long stretch of pure white sands, almost completely enclosed by giant limestone cliffs, with crystal clear emerald waters. It’s such a unique and inspiring location that a book was written about it, which was then made into the award winning film ‘The Beach’ starring Leonardo Dicaprio! This is one of those locations that you have to see for yourself! Just a short 20-30 minute climb to the Viewpoint will bring you to the highest point of Koh Phi Phi Don. From here you’ll get to see the iconic views of the Phi Phi Islands! Although beautiful at any time of day, getting to the viewpoint for sunrise is a truly unforgettable experience. 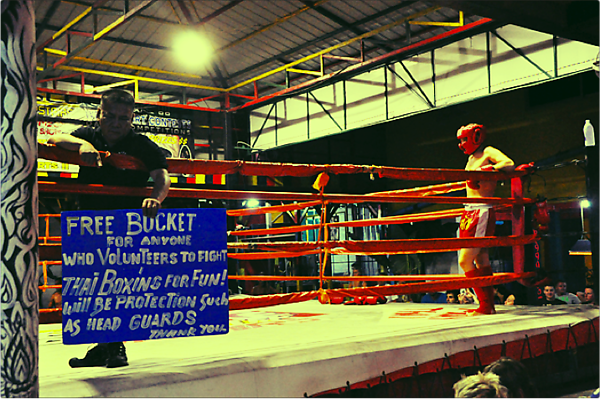 Muay Thai is the combat sport of Thailand! It would be a shame to visit the country and not see this traditional sport taken on by the masters! Phi Phi has many spots where you can watch a match, but be sure to stop by The Reggae Bar where you can watch the professionals and then have a go yourself against other backpackers, if you’re brave enough! 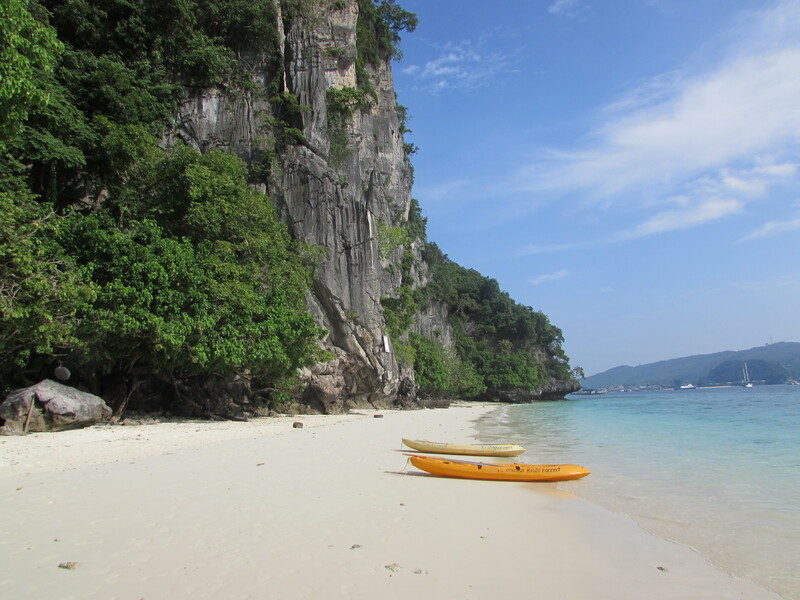 This small, hidden cove is a stretch of beach that is accessible by boat (usually visited as part of an island hopper tour around Phi Phi). 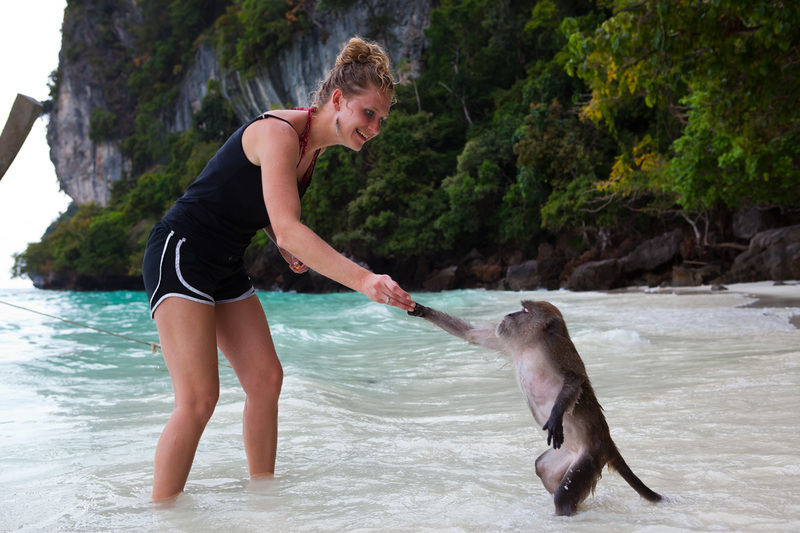 Monkey beach gets its name from its inhabitants (surprise surprise) of long-tailed Macaque Monkeys. The monkeys are quite friendly and will often approach you to steal any food you may have brought with you! For an incredibly cheap price you can hire a kayak for a few hours and paddle around the island. The views from the water offer a whole new perspective to the island and you will more than likely spot a few interesting tropical fish! 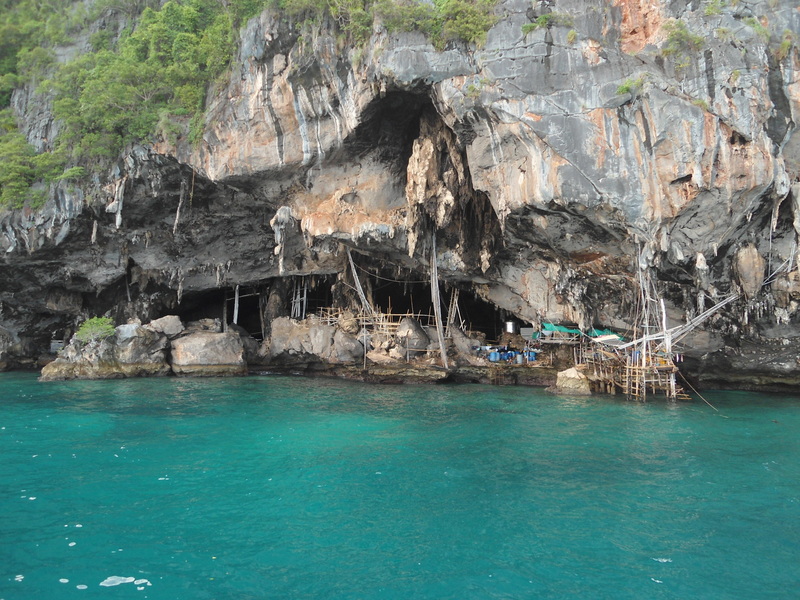 This famous tourist attraction is hidden on the eastern side of Koh Phi Phi Leh. It gets its name from the mysterious paintings on the walls of the inner cave. The cave is also home to Swiftlet bird’s nests. Bamboo structures can be seen within and around the caves, which are used to harvest the nests that are then sold on for thousands of dollars per kilo due to their believed health benefits when consumed! 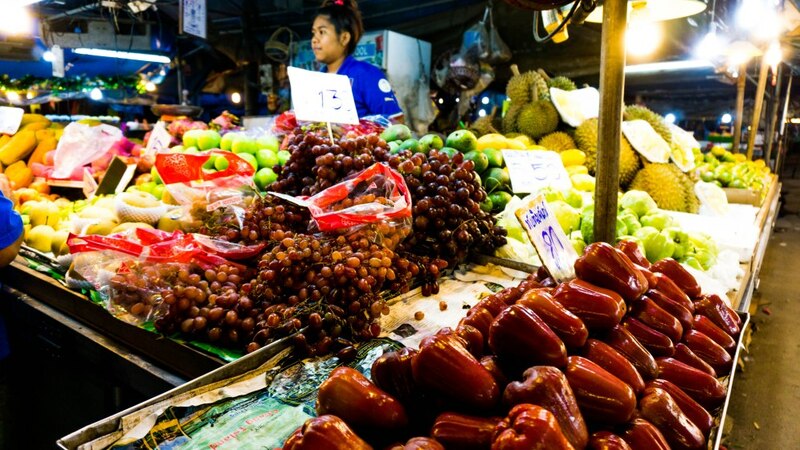 Thailand is famous for its incredible street food! It is cooked fresh daily by Thai cooks, and is known for being some of the most delicious and authentically Thai food you can buy in the country! Phi Phi is particularly good for street food due to the freshness of the fish that is caught daily in the waters surrounding the islands! 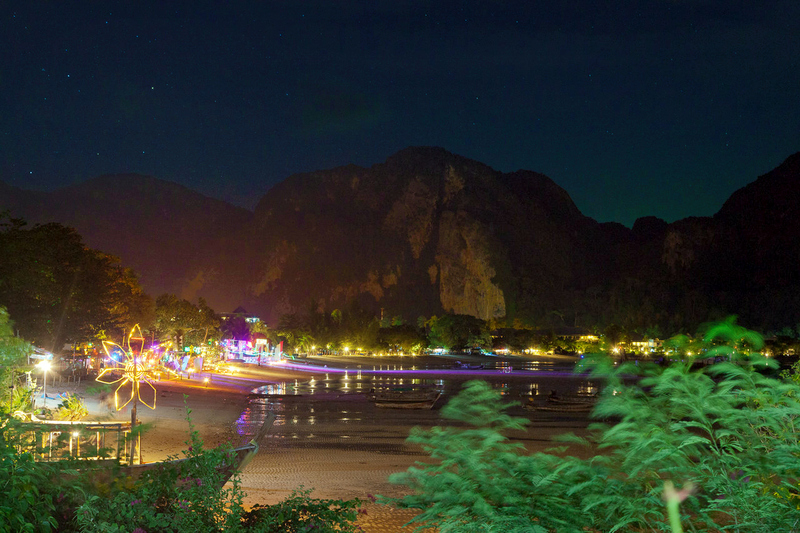 Koh Phi Phi has a surprisingly vibrant nightlife! 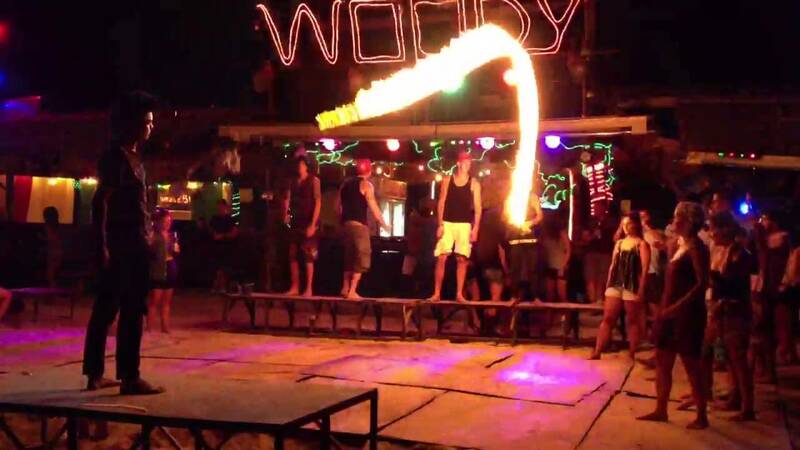 With fire shows, beach parties, and an array of interesting and unique bars, many actually prefer the Phi Phi night scene to that of the Full Moon Parties on Koh Phangan. Maya Bay is even more breathtaking at night! 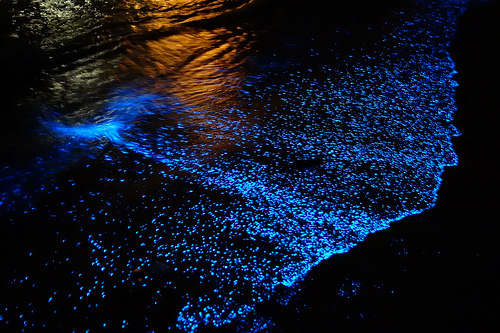 If you’re lucky enough to get on one of the few boats that allows overnight stays, you’ll get the chance to see the famous Bioluminescent Plankton (they live in the water and glow when moved around) that light up the shores at night. 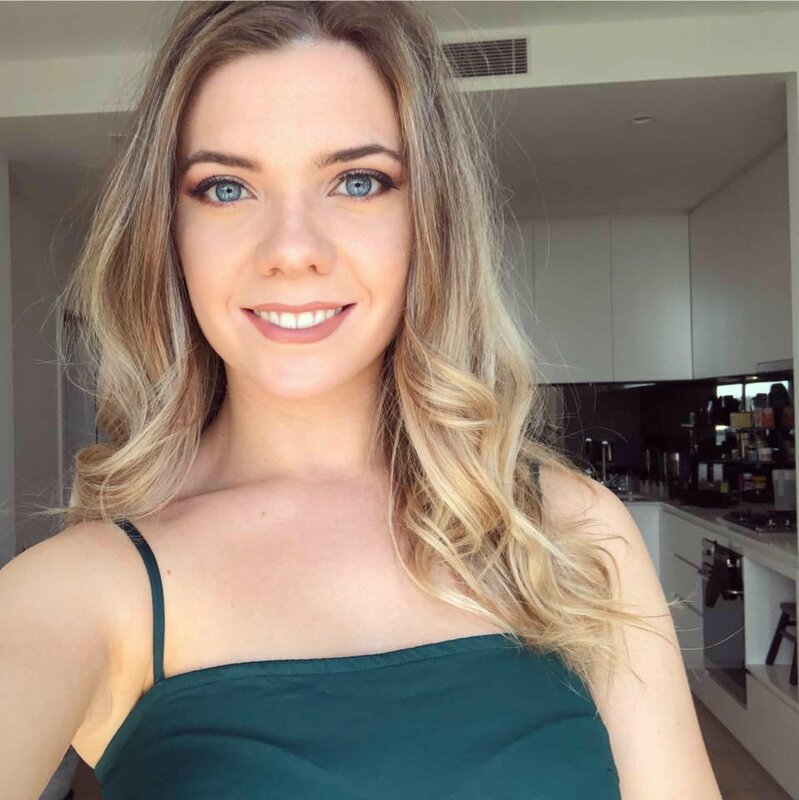 Paired with the incredible star-filled sky and the fact that you will get the beach to yourselves for sunrise makes this trip a truly unique experience! 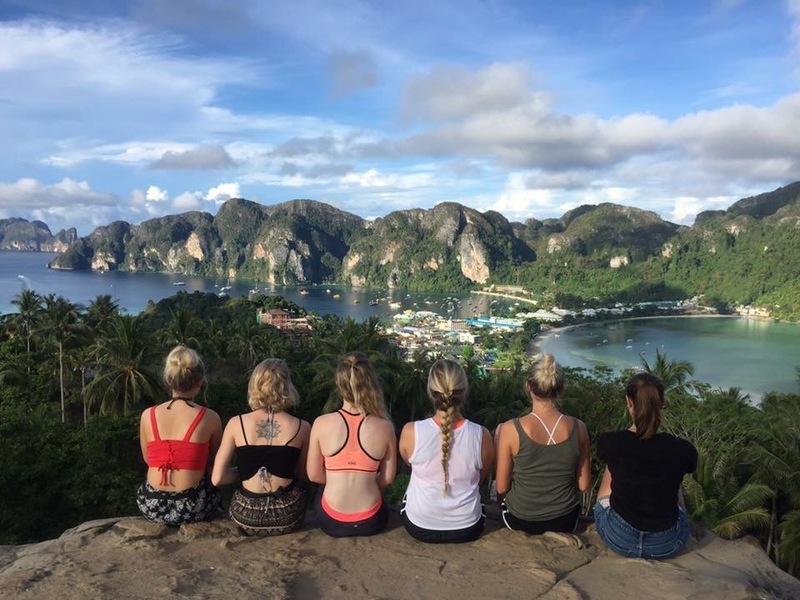 You can do all these things on our Thailand trips, check out the tour options here!